We are preparing for a veritable feast of live sport on RTÉ, with rugby, football and International Rules on the agenda. One of the biggest days of Irish sport in recent memory is upon us as the Ireland rugby team face South Africa in Dublin, the Republic of Ireland square off against Denmark in the first leg of their World Cup play-off and, in the early hours of Sunday, the first International Rules test takes place in Adelaide. It all starts with the opening Test of the Guinness Series in the Aviva as Joe Schmidt welcomes a bruised Springboks to Aviva Stadium. Daire O'Brien will be joined by Brent Pope, Ronan O'Gara and Shane Horgan from 4:30pm on RTÉ2 and RTÉ Player. Kick-off is 5:30pm at the Aviva Stadium. We will have a live blog on RTÉ.ie/sport, while the panel will also conduct a Facebook Live over on RTÉ Rugby after the broadcast for all you rugby fans looking for an extra little bit of analysis. The television chat from the Aviva will be cut a little short, as the focus moves to Copenhagen and the first leg of our World Cup play-off with Denmark. 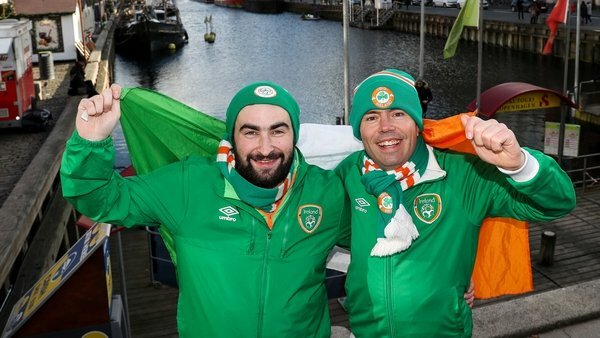 Once again RTÉ.ie/sport will have a live blog for those away from their TV or radio and will have all the action and reaction from Parken Stadium. If you are not all couched out, then set your alarm for early Sunday morning and live coverage of the opening International Rules Test between Australia and Ireland from Adelaide. Michael Lyster is joined by Ciaran Whelan and Sean Cavanagh from 5am (throw-in 5.10am) on RTÉ2 to present live coverage of the first Test in the two-match series, which takes place at Adelaide Oval in Australia. You can count on a live blog for this final leg of the trtlogy also, all on RTÉ.ie/sport. Sleep is for the weak, or the week... But certainly not this weekend.